Nobody in Freeborn, South Dakota likes the illegitimate son of notorious outlaw Jesse James despite the fact that he is nothing like his pop, until Woody proves, once and for all, that he is a true western hero. Freeborn, a Tale of the Wild West's Most Unlikely Hero, is a novel that combines the comedy and western with rare aplomb. With the ribald humor of Blazing Saddles added to the whimsy and spirit of the Princess Bride, Jeff Peterman has loosened the grip of the old west with a fictional fable of raucous nights that would make Deadwood proud, the grasp of family heritage on the next generation, and the power of love to change a prairie landscape, or at least the non-bandit portion of the wild west. Freeborn, ... Deadwood and Tombstone, but with a sense of humor. For Character Names and Quotes - From Jesse James and his brother Frank to the citizens of ribald Freeborn; Mayor Nater, Audrey May, Sylvia Jane Landsford, and Calamine Annie, plus Jesse's son Woody. Find out more about these characters and others, including quotes from the book on our Charcter Introduction page. Jeff Peterman - Find out more about the author of Freeborn, Jeff Peterman, on the author page. Great Read, I've Always Loved Stories About Jesse James - I really liked this book. 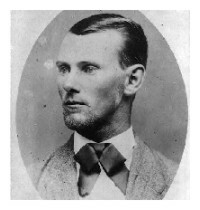 Freeborn was about the illegitimate son of outlaw and bank robber Jesse James. Set in Freeborn, South Dakota in the late 1800's, this book is a western novel with a bit of a twist. Great detail goes into the backstory between Jesse James and Sylvia Jane along with the upbringing of Woody(their son) and his various experiences. Somewhat comical in nature, and definitely not as boring as a traditional western novel, I would definitely recommend. I really liked the detail that the author puts into describing the events that take place in Freeborn and the people themselves. Innovative Western - Freeborn is a fantastically anomalous electronic tome. With prodigious determination, Peterman aspires to create a comedic masterpiece set in the bizarre town of Freeborn. This assemblage of prose pages progresses in an unremitting stream of adjectives interspersed with the occasional noun or obligatory verb. Contemporary familiarities pepper the vast expanse of ramblings and rolling decrees. Endeavoring to capture the Wild West in an extemporaneous style, Peterman amalgamates the existent and nonexistent. Freeborn witnesses the Swiss and Wesson debut before Smith and Wesson arrived on the scene, Fredericks of Deadwood supplies lingerie for concubines, and dead-beat dads premiere in full-style. If embellished linguistics and slapstick jesting pique your curiosity, then perchance you would revel in this innovative digest. A Very Different Western - Be sure to read the editorial reviews of this humorous take on a western novel. They were descriptive and on target. The story delivered what was promised and if you are in the mood for a humorous Western, you will probably like it. 1. Bandit Loot and Freeborn Nights 2. 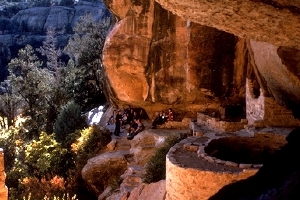 Basinets 3. Correspondence Lessons and Poison Plants 4. And Now There Are ... 5. The Carry Nation 6. One Heck of a Plan 7. A Disparate Day 8. Implementation 9. The Telegram 10. On the Road to Elba 11. The Rescue. 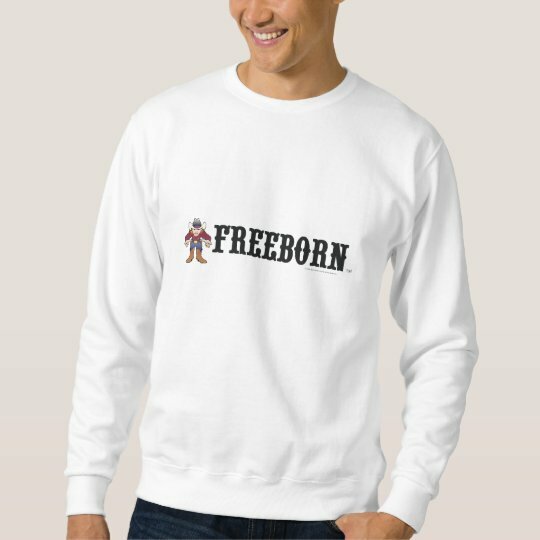 Are You Freeborn Yet? 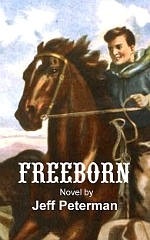 Freeborn, the Western Novel with a Humor Twist by Jeff Peterman. Find out who the real hero of this novel is in this fable about love, overcoming your bandit heritage, and finding your way in this ribald tale of Jesse James, his son, and a town where bandits can really be themselves. Want the ebook or hardback. Now you can get both versions of Freeborn at Amazon. Get official t-shirts and other Freeborn gifts for fans of the novel. (c) 2017 jdpecon.com and its licensors. Template by w3layouts.